​M & R Trucking & Paving has been providing specialized trucking and paving services to the Boston North-Shore area for over 30 years. From asphalt paving driveways to paved parking lots. ​Paving your driveway or parking area will not only enhance its appearance, but will increase the value of your property. Any newly paved area may "look nice" at first, but in order for that nice look to last the driveway or parking area must be installed the right way. Proper site preparation is key for a long-lasting pavement project. ​M & R Trucking and Paving uses the latest equipment and highly skilled personnel to ensure customers get the highest quality services in the industry at reasonable rates. Call us for a free cost estimation! 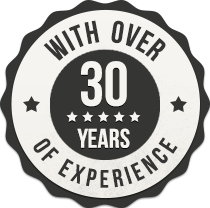 Our reputation is backed by 30 years of experience in the North Shore area. ​Call M & R Trucking and Paving for dependable paving, plowing, and excavation!